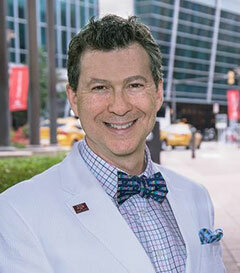 International Trust Laws and Analysis, Company Laws, Wealth Management & Tax Planning Strategies provides all the legal, tax, and estate-planning intelligence necessary for professional advisers to recommend among financial centers for their high net wealth clients — as well as the tools to establish and operate trusts, companies, and funds in compliance with all applicable rules and regulations. The full text of the trust laws and links to the company laws of 60 countries is included with clear, concise comparison charts aimed at reducing research time. The 29 vital trust elements and 20 company elements of each jurisdiction's laws are analyzed from a compliance perspective in detail. This major reference work is a one-stop guide to the formation of trusts and companies worldwide. The work is quarterly up-dated, tracking key changes and developments in trust and company legislation and practice. Professional consultants involved in trust and company establishment and in wealth management, including bankers, lawyers, tax consultants, accountants, financial planners, compliance officers, investment and wealth managers, will find this an efficient and reliable source of practical information. International Trust Laws and Analysis, Company Laws, Wealth Management & Tax Planning Strategies is also part of the Kluwer Tax Library. 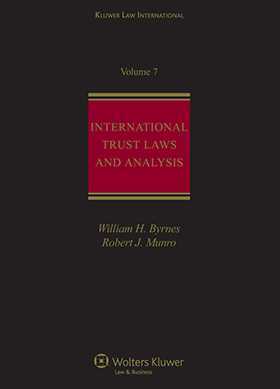 Part 1 contains a point-by-point analysis of the 29 vital elements of each country's trust law. The following topics are covered: Legislative Background; Formation; Exempt Tax Status; Minimum Assets; Residency Requirement; Registration; Revocable or Irrevocable / Void or Voidable; Settlor as Beneficiary; Perpetuity Period; Wait and See Provision; Accumulations; Beneficiaries; Trustees and Trustee Companies; Enforcers; Protectors; Confidentiality Rules; Financial Disclosure; Redomiciliation; Government and Private Fees; Exchange Control; Tax Treaties; Restrictions; Asset Protection; Fraudulent Dispositions; Time Limit to Bring Suit; Foreign Court Awards; Forced Heirship; Other Types of Trusts; and Government Control. Part 2 contains a point-by-point analysis covering the 20 vital elements of each country's company law, including the following topics: Company Types; Licensing of Corporate Agents; Company Name; Fees; Registered Office and Resident Agent; Registration; Reporting and Recordkeeping; Formative Documents; Powers; Shareholders / Members; Single Shareholder Corporation; Share Capital; Directors and Officers; Meetings; Resolutions; General Accounting Practices; Mergers & Acquisitions; Liquidation/Dissolution; Governing Law; and Forms. International Trust Laws and Analysis, Company Laws, Wealth Management & Tax Planning Strategies is also part of the Kluwer Tax Library. Click here for more information.